Peartree is in the Derby City Council local authority area. Annual footfall is 3,916 based on the LENNON (Latest Earnings Network Nationally Over Night) ticketing and revenue database. Peartree station is the only station on the North Staffordshire Line which does not have an hourly service. The station is served weekdays by an early morning service to Derby and all stations to Crewe and a peak time return service. There is no Sunday service from Peartree station. 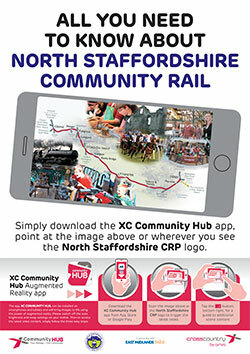 North Staffordshire Community Rail Partnership is not responsible for the content of any external websites featured.